The first batch of the Raspberry Pi miniature Linux PC has arrived in the UK, but needs to be safety tested before being dispatched to customers. This is an unforeseen delay for the makers of £22 Raspberry Pi, as previously they had assumed that it was not necessary. The first batch of orders for the innovative mini PC which aims to help teach kids to code sold out almost immediately, crashing the sites of distributors RS Components and element14/Premier Farnell in the process. Only now those distributors have told Raspberry Pi that they will not sell the miniature PC without the European CE mark certification. The belief that Raspberry Pi wouldn't need CE certification came from the assumption that it would not be viewed as a "finished end product", allowing it to be distributed on the same terms as similar products like Beagleboard. Liz, a volunteer from Raspberry Pi, blogged: "The good news is that our first 2,000 boards arrived in the UK on Monday and that we are working to get them CE marked as soon as is humanly possible, in parallel with bringing the remainder of our initial batch into the country." The company is confident that its product will pass the tests without a hitch, as Liz goes on to say: "on the basis of preliminary measurements, we expect emissions from the uncased product to meet category A requirements comfortably without modification, and possibly to meet the more stringent category B requirements which we had originally expected would require a metalised case." If you've already ordered a Raspberry Pi board it means you'll have to wait a bit longer for the situation to be straightened out. 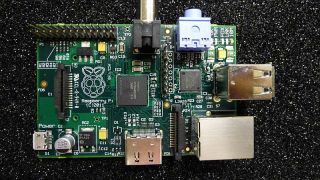 Check out our Rasberry Pi: everything you need to know feature to find out why it could be the BBC Micro for 2012.